Home Blog Why do we fear our darkness? The journey to freedom requires a trip to the depths of your inner being where you see that all you are is whole and complete. Where you see that the darkness is needed in order for the light to exist. That together they work to bring forth the power that is within you. Because without darkness one can’t experience the light and truly appreciate it. I spent years running from my darkness. And after much time I learned to face my shadows. I learned that they can’t hurt me. I learned that the darkness that was looming was simply there because the light in me was ready to burst and if I didn’t experience such darkness how could I share such light to the world? Stop running from yourself and appreciate ALL of you. Stop wishing some parts of you didn’t exist. Those parts make you who you are. Let go of the guilt and shame for the things you did when you were naive and in the midst of the darkness. You did the best you knew how then, for if you knew better you would have done something different. Our darkness is a teacher that’s there to guide us into greater awareness. 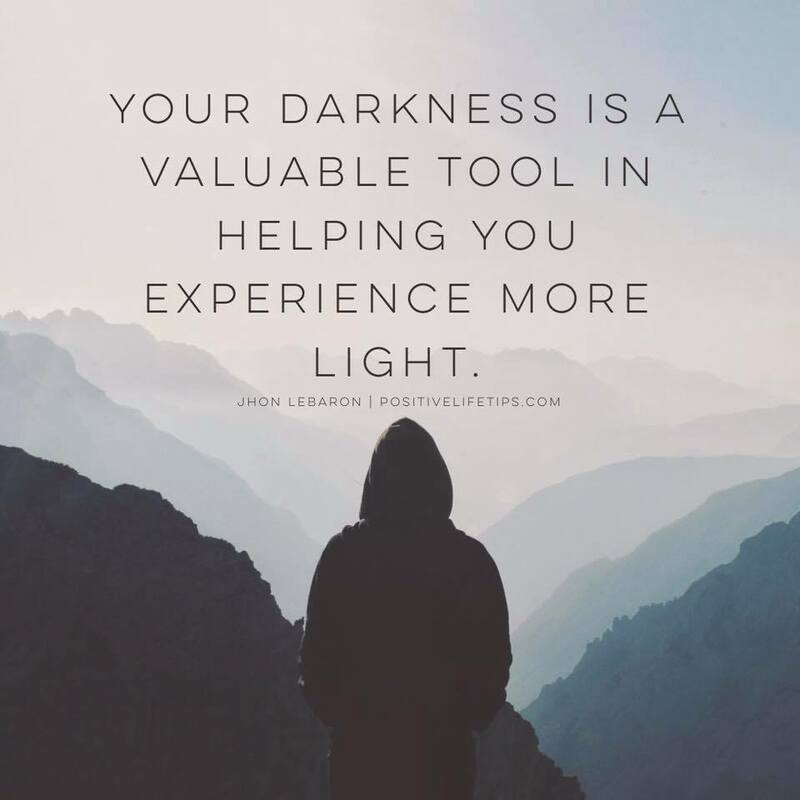 Your darkness is a valuable tool in helping you experience more light. For me it was because I judged it so harshly. I thought my darkness was the absolute worst and how could I love something so bad? How could I appreciate something that caused so much pain? How could I accept something that caused so much confusion? But then my naive mind grew and I saw the darkness for what it was. And now when I see the darkness I welcome it. I look around and get curious on what this great teacher is trying to show me. I stay open to the lessons life’s trying to teach me. -Why am I so afraid of my darkness? -What’s the worst that can happen if I turned and faced it? -And then what? And then? And what after that? Let your darkness guide you to the light. To the freedom you so desire. To the life you’ve dreamed of. Previous articleWhy I became a cheerleader, and you should too!